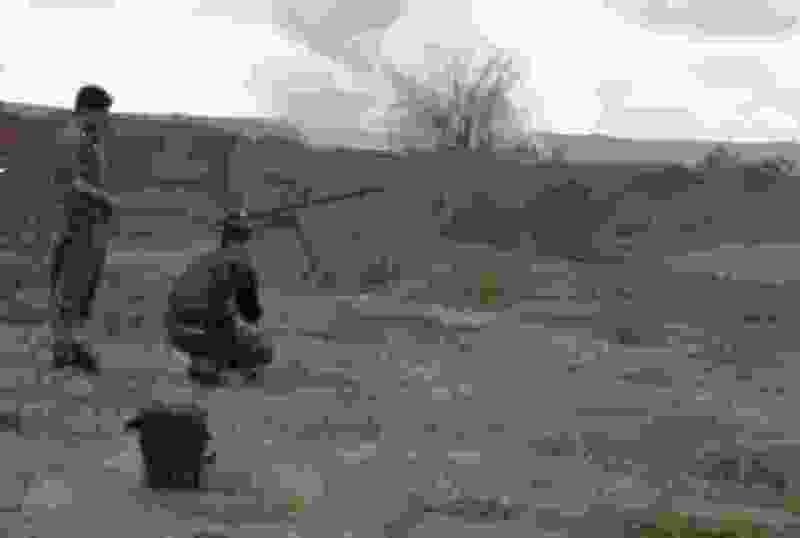 (Syrian Observatory for Human Rights via AP) This frame grab from video provided on Tuesday, Feb. 12, 2019, by the Syrian Observatory for Human Rights, an opposition group, that is consistent with independent AP reporting, shows U.S.-backed Syrian Democratic Forces fighters take their position during a battle against Islamic State group militants, in the village of Baghouz, Deir El-Zour, eastern Syria. Fighting between U.S.-backed fighters and IS inflicted more casualties among people fleeing the violence in eastern Syria Tuesday where the extremists are on the verge of losing the last area they control. Beirut • The U.S. military said Tuesday it struck a mosque that had allegedly been used as an Islamic State control center, as American-allied Syrian forces battled the extremists in their last stronghold in eastern Syria amid reports of more civilian casualties.